"Quality is never an accident, it is always the results of high intention. 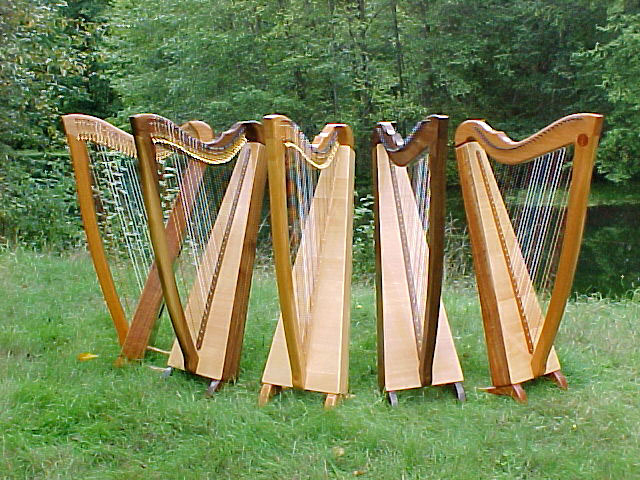 sincere effort, intelligent direction and skillful execution"
We make good quality harps at an affordable price. We invite you to browse our electronic brochure and get acquainted with us and our products. We have tried to be as informative about our harps as we can be. But you may have more questions as you browse our site. Please feel free to send us an email and we will be glad to answer any of your questions. To browse the site, choose an item on the menu. It is best viewed when the browser window is maximized.